Around the age of eight or nine, I spent a few years living with my grandma in the south— Baton Rouge, Louisiana. Having had the opportunity to live with my grandma’s house with all of her wonderful cooking, I was exposed to many wonderful Southern-American dishes, cornbread being one of them. In my grandma’s house cornbread was a staple that was as frequently seen on at her dinner table as table salt. As a young boy, one of my favorite things to do with leftover cornbread was to eat it the next morning for breakfast; like cereal, crumbled in a bowl with ice-cold milk. It was sweet enough that I often wouldn’t need to add sugar to it. 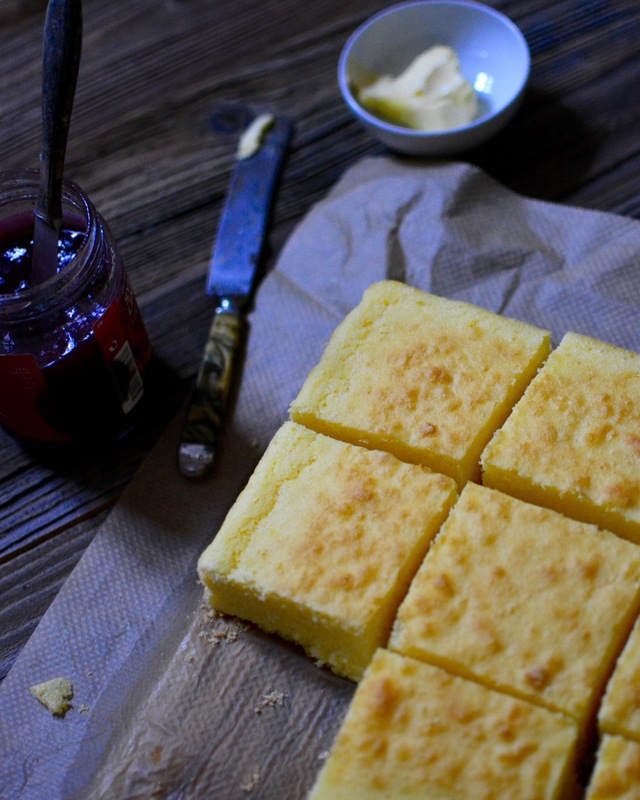 Cornbreads are quick breads, meaning they are quick to prepare because they don’t require kneading. Actually, its best that you don’t over mix the batter or you’ll end up with a brick rather than a soft, buttery, and sweet loaf. Preheat the oven to 350 degrees (175° C). Whisk together in a medium-sized mixing bowl add the gluten-free flour, corn flour, baking powder and sea salt. In a separate mixing bowl, whisk together the sugar, buttermilk, melted butter and eggs. Then, add the dry ingredients to the wet and stir until just combined. Pour the batter into a greased 9” squared cake pan or pan lined with parchment. Bake in the center of the oven for 25 to 30 minutes. Remove from the oven and place onto a wire rack and allow to cool for 10 minutes before removing from the pan. Cornbread is very versatile. Consider adding cheeses, chillies or both to the top before baking.